I don't want a silver filling! I hear this from time to time in the office. What are silver fillings (amalgam fillings)? They are sometimes called amalgam because they have a few different things in them amalgamated together to form something new. 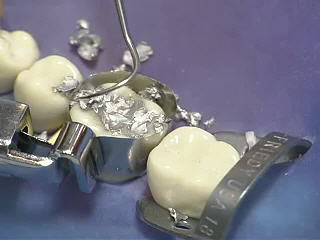 Just so you know we do not do amalgam silver fillings anymore in our office and have not for many years. This mainly was a factor of the improvement in the strength and durability of white fillings and patient demand. We have found that the ability of the stonger newer composite white fillings that bond to the tooth (strengthening it) and the cosmetic benefits make it a very desirable restorative material. Silver fillings were very common in the past and were the standard of care, and still are, because they hold up quite well to biting forces. If a dentist is still doing silver fillings, that is still an acceptable method of treatment. There are a few drawbacks to "silver" fillings: 1. They do not bond to the tooth, they basically just fill the cavity. 2. They are silver so there is a cosmetic concern. Now, how many people are looking at your back teeth trying to see in there? If you know them that well, it probably does not matter what your teeth look like. Still, we are all concerned with appearance and want the most cosmetic solution available. 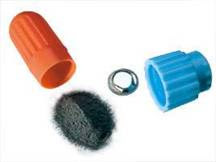 3. thermal conductivity is better/lower with white fillings. 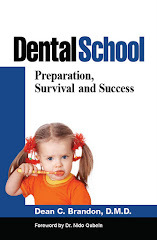 This has been a fun blog to read about dentistry. My best friend Stephen Dent started a dentistry website and it is an absolute must read for anyone interested in this line of work. Enjoy! Because of its durability, dental amalgam (mercury based) are still widely used in North America and other developed countries. With new types of tooth colored fillings, most dentists are gradually phasing out its use. Very interesting, The since Amalgam. 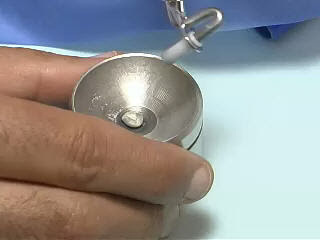 Amalgam filling material is relatively inexpensive. I was diagnosed with Multiple Sclerosis in 1981. 3 hospitalizations, 8 different medications including oral and intravenous chemotherapy for MS, experimental Plasmaphoresis, bedridden for 10 years, slurred speech and dying. I had my dental amalgam mercury "silver" fillings removed and guess what? All symptoms gradually disappeared, NO medication, NO relapses, NO symptoms, except this left me in a wheelchair! Improvement started to happen 2 weeks after all amalgam fillings were removed. Prior to mercury dental removal I had 1 to 3 relapses per year and haven't had 1 relapse since 1989. I have been in contact with people since 1996 regarding their symptoms of mercury toxicity. The diseases encompass a wide range of symptoms from autoimmunity to heart problems etc. Unfortunately, some symptoms like mine manifest later in life. According to Dr. Boyd Haley, former Professor and Chair of Chemistry at the University of Kentucky and renowned toxicologist, says there are NO SAFE LEVELS OF MERCURY. Amalgams contain 50% mercury, a poison and a neuro-toxin. A cross and skull bones with the word poison are on the label when the mercury comes into the dentists' office. Mercury vapors are released 24/7 every time a person chews, drinks hot liquids, brushs their teeth, etc. See "The Smoking Teeth" at www.iaomt.org. If denial is everywhere let the manufacturers determine if "mercury" is safe and that should end the discussion of safety vs. non-safety! It's your decision...maybe nothing has happened yet... but when? Oh, controversy... Looks like my links have expired. You can find out more t ADA.org for more ot he subject. That is an old FDA Posting. The FDA opened the case and held hearings Dec. 2010. We expect to hear a revision of the July 28, 2009 decision on new information preented to the FDA. Great article about Amalgam. I have been using this. I have a question. My son is 5 and has several cavities. The dentist recommends these fillings. I am just not confortable with the metal fillings in my sons baby teeth. She said that Its the best option since the white fillings can allow tooth decay more easily and would have to be redone within 6-12 months. She said specially if the cavity is bigger and in between the teeth. Is this the only option I have? Please help. We use composite (white fillings) exclusively in our office with good success, as they actually bond to the teeth and require generally less tooth structure to be removed to accommodate the material. Silver fillings are still an acceptable option as far as most back teeth fillings but in my opinion are not as good. 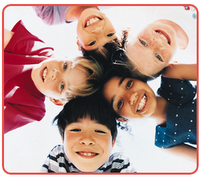 If a cavity gets too large however, a silver crown is often indicated for back baby molars. I will say I notice some insurance companies downcoding white fillings to amalgam fillings so they reimburse less. Funny, because we never have charged more for white fillings. We do what we think is best no matter the insurance coverage. You have provided excellent information on silver fillings. It is a more durable tooth filling material than composite resin in teeth that are subjected to a lot of biting pressure. Thanks!